FLUID DYNAMICS embodies in sculptural form my interpretation of flow in nature. This flow is seen in a multitude of areas: from the vortex in water or in a tree trunk, in swirls and eddies in flowing water, in dust devils in the air and hurricanes in clouds, in spiral nebula, in the veining of marble and granite, the design of the ear, the heart and more. This awareness, while initially intuitive, was further inspired by studying a book called Sensitive Chaos by Theodor Schwenk, a student of Rudolph Steiner in Switzerland. FLUID DYNAMICS was designed specifically for its unique site, once the bed of the Miami-Erie Canal, a place where flowing water brought development to the young city of Dayton and where today aerodynamically designed vehicles drive by, creating vortexes in the air. 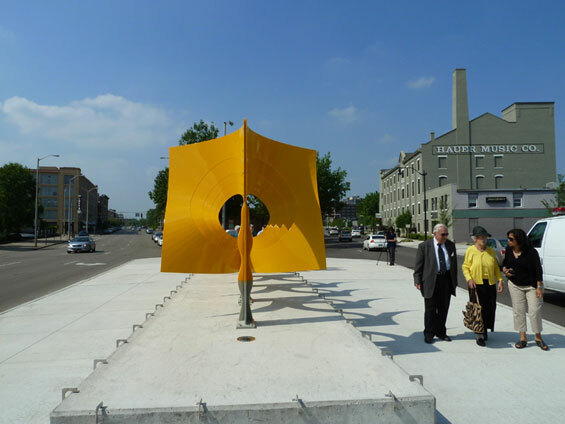 For me the sculpture speaks of Dayton’s past at the junction of the Miami, Mad, and StillwaterRivers, of its engineers who mastered the aerodynamics of flight and of its present continuing aero-space engineering at nearby Wright Patterson Air Force Base. 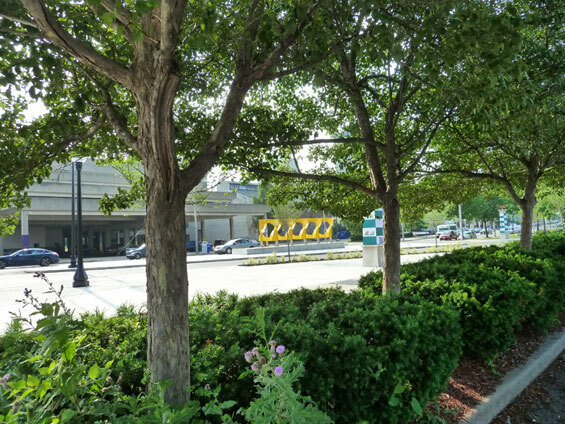 Base, traffic island and Patterson Ave. redo designed by City of Dayton engineers. 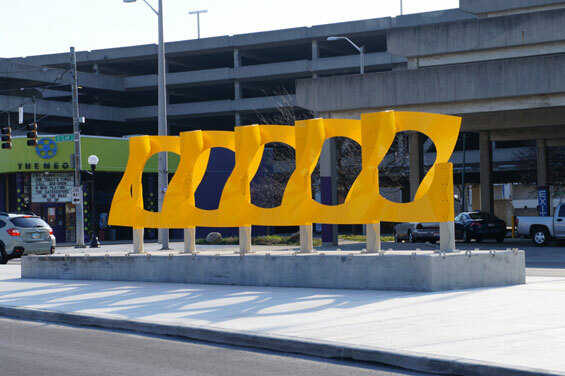 Sculpture sites on traffic island at the intersection of E. 5th st., Patterson Ave., & St. Clair st., Dayton, OH. Structural engineering by Shell + Meyer, Dayton, OH.